Whether you are a wood worker, craftsmen, rattan garden furniture salesman, or just plain interested in knowing more about rattan and wicker, the following article has everything you need to know. There are some common misconceptions about rattan and wicker as well as their uses, and we want to clear those up as well as give you the information you need, when deciding which quality materials you may want to choose for future use. Whether you are going to use rattan for DIY garden furniture, wicker weaving, or you want to make a more educated decision about purchasing furniture, this article is for you. Below you’ll find out more about rattan and wicker, what they have in common, and how they differ. You’ll also find out about rattan uses and wicker uses as well as some helpful links. In case you’re interested in the green aspects of using rattan and wicker, you’ll find this article helpful as well. Rattan is the name of a group of about 600 species coming from the palm family, also known as climbing palms. Rattan is known for its’ unique characteristics such as flexible, soft, and woody stems. These characteristics are the precise reasons people began to use rattan for its’ many uses, some of which are still used today. Many crafts people are able to employ rattan’s wonderful properties within their crafting. Some crafters use rattan for decorative works of art, weaving rattan baskets, and making rattan plant containers. Rattan is highly durable and has great resistance to splintering, making it an excellent, quality material for use when making outdoor furniture. Perhaps one of rattan’s most extensive uses is for furniture making, as it can be used similarly to wood when making furniture as it accepts paint and stains, comes in various colors, and can be made into many styles using different rattan weaving techniques. 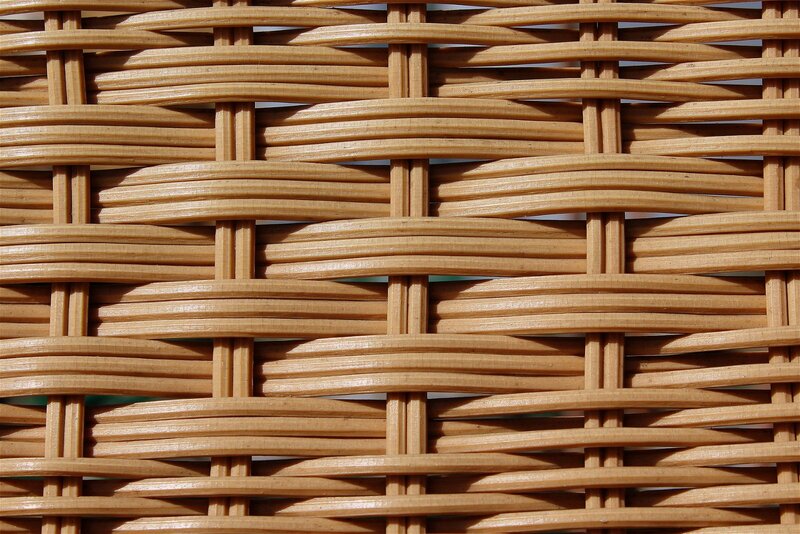 The inner core of rattan can also be separated, this is where wicker comes from, but we’ll talk more about wicker later. Popular rattan furniture pieces include the rattan cube, rattan cube patio sets, rattan sofa sets, and rattan dining sets. Rattan comes from many countries where local natives have been able to use it for their home building. Rattan’s unique qualities helps to lend itself as a housing material that can provide shelter in many rural areas where other homebuilding supplies are unavailable. Primarily, rattan is woven together to provide shelter within home building projects. http://www.telegraph.co.uk/gardening/tools-and-accessories/getting-your-garden-furniture-right-with-rattan/ - This website can help you choose types of rattan and gives a little more information on its’ various uses with furniture. https://www.rattanfurnitureuk.co.uk/blog/use-rattan-best-effect-home/ - Here’s some helpful tips on using rattan in your home. https://www.rattanfurnitureuk.co.uk/blog/how-to-care-for-rattan-garden-furniture/ - Keeping rattan furniture clean and cared for is the topic of this informative blog post. http://www.lazysusanfurniture.co.uk/blog/garden-furniture/natural-vs-synthetic-rattan-furniture/ - If you’re interested in real rattan vs. synthetic rattan, here’s an in-depth guide. http://www.lazysusanfurniture.co.uk/blog/garden-furniture/maintain-rattan-garden-furniture/ - In case you’re interested in synthetic rattan, this is some helpful information for keeping it clean and maintained. http://www.jjohnsonandson.co.uk/basket_making.htm - This is a great wealth of information regarding basket making. http://www.houzz.co.uk/ideabooks/12689637/thumbs/guest-picks-rattan-is-back-19-ways-to-add-rattan-to-your-home-decor - This is some home décor information including rattan baskets. https://www.pinterest.com/search/pins/?q=rattan%20baskets&rs=typed&term_meta=rattan%7Ctyped&term_meta=baskets%7Ctyped - Rattan basket ideas on Pinterest can help you to understand more designs and way to use this product. https://www.quickcrop.co.uk/blog/wicker-rattan-baskets-for-firewood/ - Yet another use for your rattan baskets can be found here along with some more helpful tips. https://andrassyliving.co.uk/blogs/the-andrassy-living-blog/tagged/baskets - This fun blog has more great ways to use your rattan baskets. Wicker is a material that is sometimes made by separating the core from rattan, or the shoots and branches from plant stalks, and weaving it into a rigid material. Wicker is a sturdy, lightweight material coming from a variety of plants such as rattan, bamboo and other grasses, reeds, as well as willows and other tree branches. Much like rattan, wicker can be made from many natural materials as well as synthetic materials, it comes in different colors, can be painted and also lends itself well to furniture and basket making. Because wicker comes from so many different materials, it really refers to the process of weaving the materials into wicker, rather than the actual materials themselves. That’s where the confusion and misconceptions involving rattan come in. You may be wondering what makes a wicker piece, “wicker” if it’s not specific to one material. Whether using synthetic or natural materials, wicker is characterized by the similar weaving processed used in all pieces, giving them an aesthetically similar and pleasing look. While the process of weaving is similar, there are many styles to choose from as well as natural colors and hues as well as painted colors. Because the indoor use of wicker tends to be more protected, many choose natural and organic materials for use indoors. This helps to reduce any extra chemicals from being in the home that may be unwanted. For outdoor use, many people choose synthetic materials such as resins and vinyl to withstand long-term use that is often exposed to the many changing elements. Wicker is often used to make baskets and furniture because it is sturdy and durable. It’s durability and strength gives it the quality needed for making long lasting furniture and baskets much like the use of rattan. 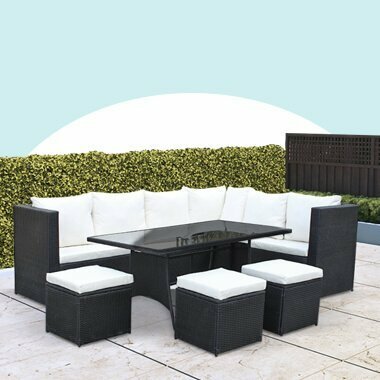 https://www.outandoutoriginal.com/garden-furniture-ideas-which-wicker-garden-furniture-to-buy You’ll find some helpful information about wicker and wicker furniture here to help you discover more about this fascinating product. http://www.touraineloirevalley.co.uk/discover-touraine/what-s-happening/in-touraine-basket-making-weaves-its-history - This link provides much information about wicker basket making. https://www.pinterest.com/explore/wicker-baskets/ - Wicker basket ideas on Pinterest to give you creative sparks on how to use your favorite baskets. https://basketsgalore.co.uk/blog/2015/01/top-15-uses-for-baskets-galores-wicker-baskets/ - Here you’ll find more uses for wicker baskets. Rattan and Wicker - What is the difference? Copyright BillyOh Blog 2015. All rights reserved.